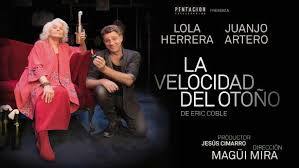 The touring production of “La Velocidad Del Otono” is finally coming to an end, as Alexandra and Chris step out of the apartment one final time. Congratulations to all for a phenomenal run touching thousands of people. Previous post: “Sherlock Holmes: The Baker Street Irregulars” published!